THE AFL'S answer to cricket's 'Snickometer' will be unveiled in round one under a fresh revamp of the DrinkWise Score Review process. 'AFL Edge' will be used for the first time in Thursday night's season opener with microphone technology installed in goalposts to determine whether a ball has touched the post. The audio contained from the posts will then be synchronized with the Hawk-Eye video feed to determine whether the ball has clipped the post or sailed through. It comes after last year's controversial Showdown finish where Adelaide forward Josh Jenkins admitted his match-winning goal against Port Adelaide may have brushed the post. "My grandma raised me not to tell fibs. I think it hit the post." Rigorous testing of the new technology has been undertaken by the AFL football operations team ahead of the rollout at various venues across the League. As per previous seasons, the AFL's score review official will take control of the feed seen on the television broadcast during a score review once an umpire has signalled their intent to review. Cricket's Snickometer, often referred to as 'Snicko', was introduced in the 1990s and is used to determine whether a batter has edged a ball with their bat. 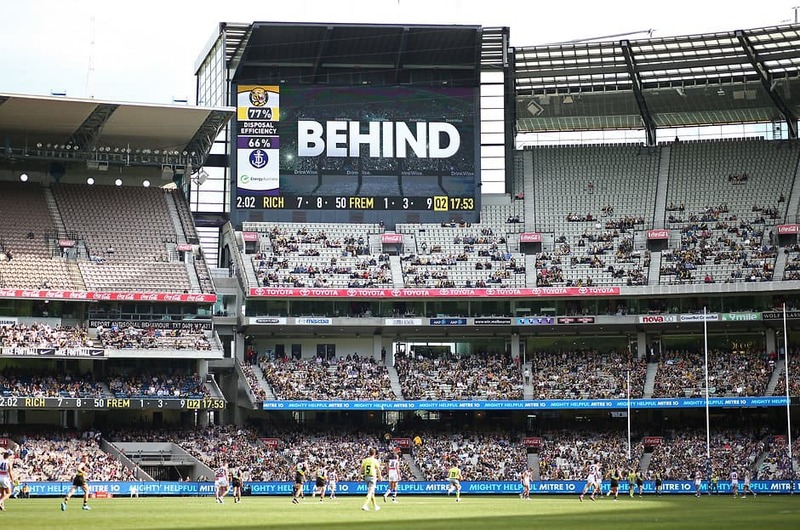 AFL Edge will be used at Category One and Category Two venues across the country where goal-line cameras are installed. They include the MCG, Marvel Stadium, Adelaide Oval and Optus Stadium. Venues such as Blundstone Arena (Hobart), Mars Stadium (Ballarat) Jiangwan Stadium (Shanghai), Riverway Stadium (Townsville), TIO Stadium (Darwin), TIO Traeger Park (Alice Springs) and UNSW Canberra Oval won't have the technology. The AFL score review system was introduced for the first time in 2014. The most notable missed goalpost incident in recent seasons came in the 2009 Grand Final when Tom Hawkins' second-quarter goal hit the post.